The subject matter of this book is quite depressing. So many parts of our world are in a very sad state, environmentally at least. 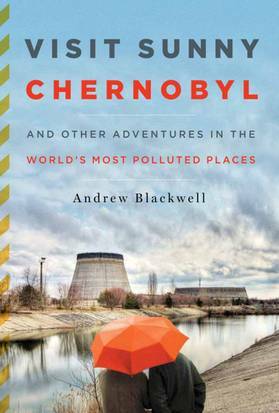 However, Andrew Blackwell finds a way to point out both the beauty and the humor in places where humans have destroyed nature. If I had a rating system on this blog, which I don't (yet), I would give this book high marks. I learned a lot, I laughed out loud and I have a much better understanding of pollution and the screwy ways we defeat ourselves in our quest for bigger and better everything. Have you read this? I'd love to know what you thought! Happy Sunday and as always happy reading! Is this non-fiction? If it is, it sounds really cool! I'm on the waiting list at the library for this one. Love travel narratives. Glad to see your positive review.